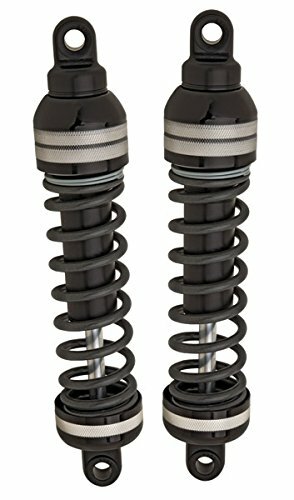 Best Shocks for Harley Touring Reviews: Top-5 in April 2019! Unlike automotive suspension and shock absorbing systems that are two separate entities. 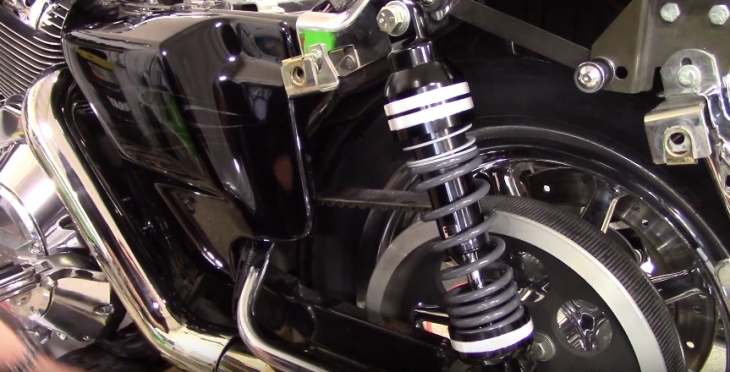 A motorcycles suspension and shock absorber are one component that performs both functions. Motorcycle suspension systems perform a dual service, they contribute to the handling and braking of the cycle and also provide comfort and safety during the ride, in other words, they are both suspension and shock absorber in one go. Shock absorbers are not just suspension units, although the rear coil over shocks performs such an operation in support of the bikes the main suspension. The role of the shock is to maintain the wheels grip on the road and to do so while absorbing the bumps and holes that most roads and off-road conditions. How to Choose Harley Touring Shocks? 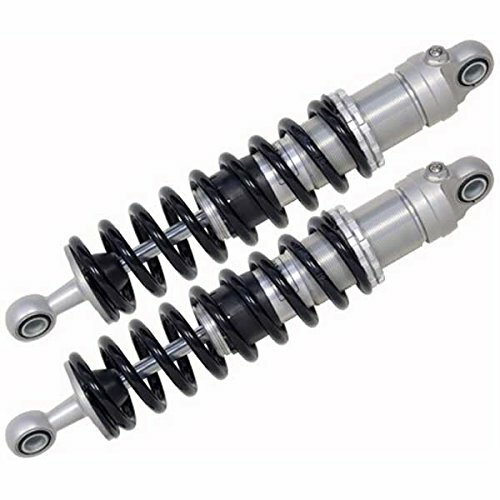 This is the Progressive Suspension 944-4020UT Ultra Touring Heavy Duty Shocks for 1984 and newer models. The 944 Ultra Touring shocks provide a 1″ lowered stance for a comfortable ride and are made using proprietary patented Frequency Sensing Technology (FST) technology. This technology utilizes the entire suspension travel via the full-length stock units with a 1″ lowered ride height. As such, it senses the frequency of the bumps and adjusts the damping in constant sensory updating performance. This unique shock not only lowers the height by 1” when standing or riding, but it also comes in 3 weight configurations including the Standard Weight, Heavy-duty (250+ lbs.) and Super Heavy Duty (350+ lbs.) configurations. This is a classic low rider model and is perfected for specific weight ranges, so make sure you get the right weight configuration, consider your weight, and how frequently you add a passenger. The HD022 is Ohlins 13” entry level shock fitting Harley Davidson Touring models from 1998 till today. These shocks come with a single-tube emulsion-style damper with pre-load adjustability and apart from the 2006-2014 Street Glides which are 12″, this model fits all. This shock is a standard high-pressure monotube type that comes with separated gas pressure and fluid piston compartment. For the HD H022 fluids are fixed directly on top of the shock absorber. The HD 022 has an adjustable preloaded spring action, and there is a dynamic relationship between the rider and road. This is a basic starter model for the 13” Harley Davidson FLH/FLT Touring 1998 to newer brands, but not for the 2006-2014 Street Glides. 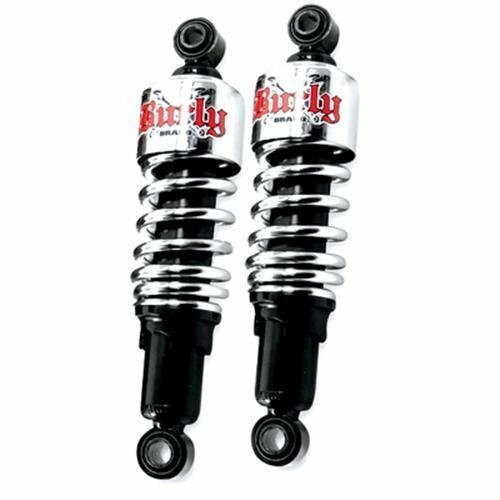 This is the Burly Brand B28-1203 Slammer Shocks for 2004 to 2015 Harley-Davidson Touring models. The Burly Brand chrome Slammer shocks are a tiny 10.5”, which means your ride is going to drop by 2 ½” giving new meaning to the term “low rider” for your Harley Touring model. With this extra low height, you still get exceptionally smooth riding performance with a very low center of gravity. Handling your ride with these shocks will become smoother and more pleasant. Another advantage of such a low ride is for smaller riders who won’t need to worry about the footing issues. These shocks are all preloaded and adjustable to the rider’s weight. For that extra low ride on your 2004 to 2015 Harley-Davidson Touring models, this Burley model will deliver more than performance grade action. This is truly a magnificent low riding shock absorber. The HD 772 is an all-black shock absorber that is 13” and uses a single-tube dividing piston pressurizing system. In this system, the oil and gas don’t mix, and you get a more powerful and more adjustable performance with extreme versatility over any road condition. If you have a 1990 Harley Davidson or newer, this 13” adjustable shock will retain the look and performance of your previous stock model. It is also all black, so it fits in with many designed models. 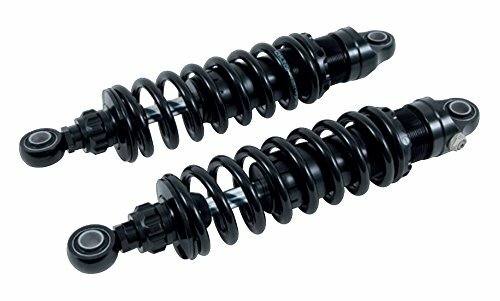 This is the Progressive Suspension Black 944 Series 944-4019UL 12.5″ Ultra-Low Heavy-Duty Shocks for 1984 to newer Ultra Touring applications. The 944 ultra-touring model 944-4019UL is another 12 ½” low riding model that comes with 1” under height performance. Progressive’s Frequency Sensing Technology (FST) makes riding on these a great performance experience, where the pistons adjust with the frequency of the road conditions, and essentially perform some kind of pre-determined adjustment that lowers the impact through smart absorption. This model comes with an easily adjustable ring at the top of the shock which is hand adjustable. This is a great replacement shock and an even better upgrade for your 1984 to newer Ultra Touring applications. Harley Davidson Touring cycles have two shock locations, the front fork, and the rear wheel. The cartridge fork design used by Harley uses an internal cartridge with a valving system. This provides damping at low slider speeds, and a smaller office is used for control. 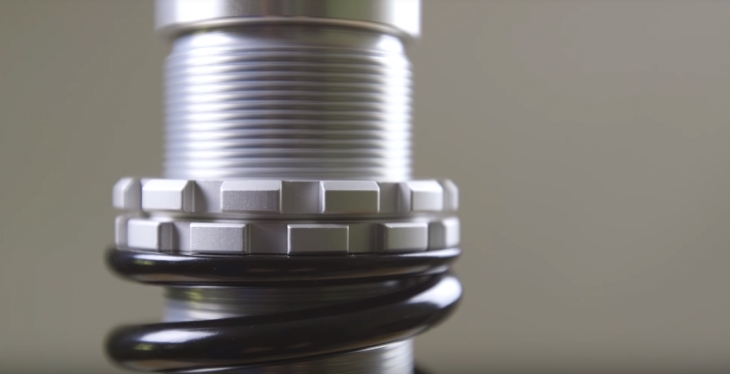 Damping at higher speeds is reached using a system of flexible shims that bypass valve for the fork oil. The various shims provide fork digressive damping, which gives you a stiff ride over small bumps, but softer a ride over larger bumps. The rear shocks are nearly always a coil-over spring which means that there is a coil spring installed over, or around, the shock. 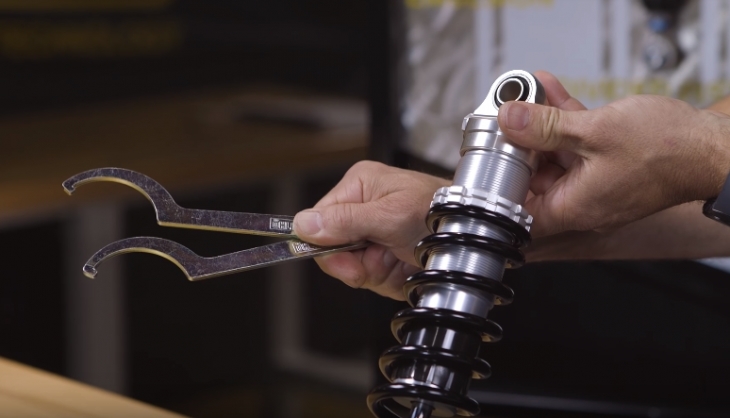 Rear shocks have a wide range of limitations, starting from no adjustments to pre-load adjustments while racing shocks come with adjustments for length, pre-load, and four different kinds of damping. The aftermarket shock absorber companies are limited in numbers, and in all instances, the shocks produced are very specific to their application range. Progressive Suspension: This company was founded in 1982, and has evolved into one of the largest aftermarket motorcycle suspension producers in the world, and the largest in the United States of America. The shocks from progressive are designed to fit every Harley Davidson model that was ever produced from the late 70’s and upwards. They also have a great line of low rider shocks. Burly: Burly was founded in 2006 by the two Burly brothers, and it has grown into a major aftermarket force in the motorcycle scene. This company specializes in modern Harley Replacement parts, and you will find some serious low rider options too. Their pick is limited, but what you do get is near to perfection. Ohlins: The company Öhlins Racing AB was founded by Kenth Öhlin in 1976. This is a Swedish company headquartered in Stockholm that has over 40 years of motorcycle aftermarket experience and is now distributed by official representatives found in over 50 countries. This company specializes in every type of shock there is, from stock to racing performance. In this article, I presented you with the five best shocks for Harley Touring applications.